California High School Band welcomes you to join us as we run, walk and jog while raising funds for our 2019 Band Trip to the Valero Alamo Bowl by hosting our very own Color Splash FUNDrun by Get Active Fundraising! Manning Elementary School PTA welcomes you to join us as we run, walk and jog while raising funds for our school by hosting our very own Color Splash FUNDrun by Get Active Fundraising! Bryan County Elementary School welcomes you to join us as we run, walk and jog while raising funds for our school by hosting our very own Color Splash FUNDrun by Get Active Fundraising! Hamilton High School Girls' Softball Program welcomes you to join us as we run, walk and jog while raising funds for our school by hosting our very own Color Splash FUNDrun by Get Active Fundraising! Thomas Nelson High School welcomes you to join us as we run, walk and jog while raising funds for our school by hosting our very own Color Splash FUNDrun by Get Active Fundraising! Timber Ridge Foundation welcomes you to join us as we run, walk and jog while raising funds for our school by hosting our very own Color Splash FUNDrun by Get Active Fundraising! Coats Erwin Middle School PTO welcomes you to join us as we run, walk and jog while raising funds for our school by hosting our very own Color Splash FUNDrun by Get Active Fundraising! New York Mills Vocal Music Department and STUCO welcomes you to join us as we run, walk and jog while raising funds for our school by hosting our very own Color Splash FUNDrun by Get Active Fundraising! American Leadership Academy welcomes you to join us as we run, walk and jog while raising funds for our school by hosting our very own Color Splash FUNDrun by Get Active Fundraising! Wolf Ridge Education Center Student Council welcomes you to join us as we run, walk and jog while raising funds for our school by hosting our very own Color Splash FUNDrun by Get Active Fundraising! Unity High School Class of 2020 welcomes you to join us as we run, walk and jog while raising funds for our school by hosting our very own Color Splash FUNDrun by Get Active Fundraising! Twin Echo Elementary School PTA welcomes you to join us as we run, walk and jog while raising funds for our school by hosting our very own Color Splash FUNDrun by Get Active Fundraising! Byron Elementary School PTO welcomes you to join us as we run, walk and jog while raising funds for our school by hosting our very own Color Splash FUNDrun by Get Active Fundraising! Hawthorne PTC welcomes you to join us as we run, walk and jog while raising funds for our school by hosting our very own Color Splash FUNDrun by Get Active Fundraising! NKC Women's Soccer welcomes you to join us as we run, walk and jog while raising funds for our school by hosting our very own Color Splash FUNDrun by Get Active Fundraising! Broadwater Elementary PTC welcomes you to join us as we run, walk and jog while raising funds for our school by hosting our very own Color Splash FUNDrun by Get Active Fundraising! James A. Caywood PTA welcomes you to join us as we run, walk and jog while raising funds for our school by hosting our very own Color Splash FUNDrun by Get Active Fundraising! North Haledon Education Foundation welcomes you to join us as we run, walk and jog while raising funds for our school by hosting our very own Color Splash FUNDrun by Get Active Fundraising! Sayles School PTO welcomes you to join us as we run, walk and jog while raising funds for our school's PTO by hosting our very own Color Splash FUNDrun by Get Active Fundraising! Winthrop High School welcomes you to join us as we run, walk and jog while raising funds for our school by hosting our very own Color Splash FUNDrun by Get Active Fundraising! Braeburn Elementary School welcomes you to join us as we run, walk and jog while raising funds for our school by hosting our very own Color Splash FUNDrun by Get Active Fundraising! Hamilton Elementary/ Middle School welcomes you to join us as we run, walk and jog while raising funds for our school by hosting our very own Color Splash FUNDrun by Get Active Fundraising! Wilton Youth Council welcomes you to join us as we run, walk and jog while raising funds for our school by hosting our very own Color Splash FUNDrun by Get Active Fundraising! Grassland School Community Association welcomes you to join us as we run, walk and jog while getting doused with color! The Color Splash Event will be fun for all brought to you by GSCA and Get Active Fundraising! Bethany Community School Wellness Advisory welcomes you to join us as we promote fitness with a run, walk, or jog while raising funds for our school by hosting our very own Color Splash FUNDrun! Casselberry Elementary School PTSA welcomes you to join us as we run, walk and jog while raising funds for our school by hosting our very own Color Splash FUNDrun by Get Active Fundraising! Herget Middle School welcomes you to join us as we run, walk and jog while raising funds for our school by hosting our very own Color Splash FUNDrun by Get Active Fundraising! Louisiana Law Enforcement Torch Run FOR-WARD, presented by Ascension Parish Sheriff's Office, The Gonzales Rotary, and St. Amant/Dutchtown/East Ascension High School’s Student Councils, welcomes you to join us as we run, walk and jog while raising funds for the Louisiana Special Olympics and The Ascension Fund! John M. Clayton Elementry School PTO welcomes you to join us as we run, walk and jog while raising funds for our school by hosting our very own Color Splash FUNDrun by Get Active Fundraising! My School Color Run is an untimed fun run featuring a 1.25-mile course. Throughout the course participants will experience color splash zones where they will be doused in color. There will also be a final color toss celebration. 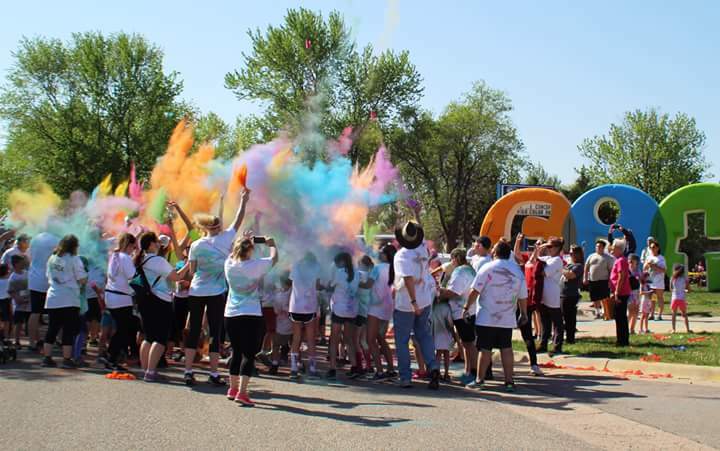 Chatham Middle School will host it's 2019 Color Run on Saturday May 4th at 9:30 am. The run will be open to all current CMS students. The CMS Color Run is an un-timed 2 mile fun run/walk for students of all fitness abilities. All current CMS students are welcome and encouraged to participate! Register Early! Registration includes a t-shirt, race bib, color packets, and sunglasses only if you sign up before 4/22/19. Please send your questions to Jennifer Bankert at cmscolorrun@gmail.com. 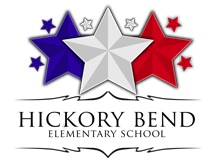 Hickory Bend Elementary School welcomes you to join us as we run, walk and jog while raising funds for our school by hosting our very own Color Splash FUNDrun by Get Active Fundraising! Cedar Hill Longhorn Red Army Band welcomes you to join us as we run, walk and jog while raising funds for our school by hosting our very own Color Splash FUNDrun by Get Active Fundraising! Foster Children Christmas Party welcomes you to join us as we run, walk and jog while raising funds by hosting our very own Color Splash FUNDrun by Get Active Fundraising! Heywood Avenue School welcomes you to join us as we run, walk and jog while raising funds for our school by hosting our very own Color Splash FUNDrun by Get Active Fundraising! Kenwood High School Athlectic Boosters welcomes you to join us as we run, walk and jog while raising funds for our school by hosting our very own Color Splash FUNDrun by Get Active Fundraising! Maple Place Middle School welcomes you to join us as we run, walk and jog while raising funds for our school by hosting our very own Color Splash FUNDrun by Get Active Fundraising! Mendenhall Middle School PTA welcomes you to join us as we run, walk and jog while raising funds for our school by hosting our very own Color Splash FUNDrun by Get Active Fundraising! Schuylkill Haven High School and Middle School welcome you to join us as we run, walk and jog while raising funds for our school by hosting our very own Color Splash FUNDrun by Get Active Fundraising! Gateway Oakview PTO welcomes you to join us as we run, walk and jog while raising funds for our school by hosting our very own Color Splash FUNDrun by Get Active Fundraising! Clifton High School Student Council welcomes you to join us as we run, walk and jog while raising funds for our school by hosting our very own Color Splash FUNDrun by Get Active Fundraising! Sheehan Music Parents Association welcomes you to join us as we run, walk and jog while raising funds for our school by hosting our very own Color Splash FUNDrun by Get Active Fundraising! Shrewsbury Class of 2021 welcomes you to join us as we run, walk and jog while raising funds for our school by hosting our very own Color Splash FUNDrun by Get Active Fundraising! LHS Class of 2019 welcomes you to join us as we run, walk and jog while raising funds for our school by hosting our very own Color Splash FUNDrun by Get Active Fundraising! Saint Philomena School welcomes you to join us as we run, walk and jog while raising funds for our school by hosting our very own Color Splash FUNDrun by Get Active Fundraising! Sign up with your entire family! Bring your friends. Get ready for some colorful, messy fun! All Saints Elementary School welcomes you to join us as we run, walk and jog while raising funds for our school by hosting our very own Color Splash FUNDrun by Get Active Fundraising! Philip G. Vroom School welcomes you to join us as we run, walk and jog while raising funds for our school by hosting our very own Color Splash FUNDrun by Get Active Fundraising! Milliken Elementary School welcomes you to join us as we run, walk and jog while raising funds for our school by hosting our very own Color Splash FUNDrun by Get Active Fundraising! Lumberton Township PTA welcomes you to join us as we run, walk and jog while raising funds for our school by hosting our very own Color Splash FUNDrun by Get Active Fundraising! Bayshore PTA welcomes you to join us as we run, walk and jog while raising funds for our school by hosting our very own Color Splash FUNDrun by Get Active Fundraising! Booker High School JROTC welcomes you to join us as we run, walk and jog while raising funds for our school by hosting our very own Color Splash FUNDrun by Get Active Fundraising! Ridgecroft Running Rams welcomes you to join us as we run, walk and jog while raising funds for our school by hosting our very own Color Splash FUNDrun by Get Active Fundraising! Marengo Academy PTA welcomes you to join us as we run, walk and jog while raising funds for our school by hosting our very own Color Splash FUNDrun by Get Active Fundraising! Chisholm Trail Elementary/ Trailblazers Running Club welcomes you to join us as we run, walk and jog while raising funds for the Chisholm Trailblazers Running Club and the CTE Fine-Arts Dept! Registered participants will get to be colorified in a fun 5k Color Splash run/walk or a 100 Meter Kids Fun Run! In addition, we will have Food Vendors, a DJ, Yard Games, YOGA demonstrations, and more to make this a true one-of-a-kind event for our community!! New Baden Elementary welcomes you to join us as we run, walk and jog while raising funds for our school by hosting our very own Color Splash FUNDrun by Get Active Fundraising! Whitehall Yearling High School welcomes you to join us as we run, walk and jog while raising funds for our school by hosting our very own Color Splash FUNDrun by Get Active Fundraising! Kings Park Langguage Honor Societies welcomes you to join us as we run, walk and jog while raising funds for our school by hosting our very own Color Splash FUNDrun by Get Active Fundraising! Southern Alamance Middle Athletic Booster Club & PE Department welcomes you to join us as we run, walk and jog while raising funds for our school by hosting our very own Color Splash FUNDrun by Get Active Fundraising! Thousand Islands Class of 2021 welcomes you to join us as we run, walk and jog while raising funds for our school by hosting our very own Color Splash FUNDrun by Get Active Fundraising! Epping High School welcomes you to join us as we run, walk and jog while raising funds for our school by hosting our very own Color Splash FUNDrun by Get Active Fundraising! Virginia Rehabilitation Association welcomes you to join us as we run, walk and jog while raising funds for our association by hosting our very own Color Splash FUNDrun by Get Active Fundraising! Culver Elementary PTO welcomes you to join us as we run, walk and jog while raising funds for our school by hosting our very own Color Splash FUNDrun by Get Active Fundraising! Emily G. Johns School welcomes you to join us as we run, walk and jog while raising funds for our school by hosting our very own Color Splash FUNDrun by Get Active Fundraising! Centereach High School welcomes you to join us as we run, walk and jog while raising funds for our school by hosting our very own Color Splash FUNDrun by Get Active Fundraising! JCMES, LEES, and LSES welcomes you to join us as we run, walk and jog while raising funds for our school by hosting our very own Color Splash FUNDrun by Get Active Fundraising! Acheve Charter Academy welcomes you to join us as we run, walk and jog while raising funds for our school by hosting our very own Color Splash FUNDrun by Get Active Fundraising! Crisman Elementary School welcomes you to join us as we run, walk and jog while raising funds for our school by hosting our very own Color Splash FUNDrun by Get Active Fundraising! Pasadena Baseball Club welcomes you to join us as we run, walk and jog while raising funds for our school by hosting our very own Color Splash FUNDrun by Get Active Fundraising! Knox High School Life Skills Class welcomes you to join us as we run, walk and jog while raising funds for our class by hosting our very own Color Splash FUNDrun by Get Active Fundraising! LSAA Baseball welcomes you to join us as we run, walk and jog while raising funds for our school by hosting our very own Color Splash FUNDrun by Get Active Fundraising! H.C. Davis and Anna Jeffries Elementary Schools welcomes you to join us as we run, walk and jog while raising funds for our school by hosting our very own Color Splash FUNDrun by Get Active Fundraising! Butler JROTC welcomes you to join us as we run, walk and jog while raising funds for our school by hosting our very own Color Splash FUNDrun by Get Active Fundraising! Greater Beckley Christian School welcomes you to join us as we run, walk and jog while raising funds for our school by hosting our very own Color Splash FUNDrun by Get Active Fundraising! Glenn Guardians Dance Team welcomes you to join us as we run, walk and jog while raising funds for our school by hosting our very own Color Splash FUNDrun by Get Active Fundraising! Hillside High School welcomes you to join us as we run, walk and jog while raising funds for our school by hosting our very own Color Splash FUNDrun by Get Active Fundraising! Hopatcong High School Class of 2019 welcomes you to join us as we run, walk and jog while raising funds for our school by hosting our very own Color Splash FUNDrun by Get Active Fundraising! Great Neck Teachers Association welcomes you to join us as we run, walk and jog while raising funds for our school by hosting our very own Color Splash FUNDrun by Get Active Fundraising! Island Trees High School Dollars For Scholars welcomes you to join us as we run, walk and jog while raising funds for our school by hosting our very own Color Splash FUNDrun by Get Active Fundraising! Spotswood Color Run welcomes you to join us as we run, walk and jog while raising funds for our school by hosting our very own Color Splash FUNDrun by Get Active Fundraising! Newaygo Public Schools welcomes you to join us as we run, walk and jog while raising funds for Emma L. Graham Scholarship Fund by hosting our very own Color Splash FUNDrun by Get Active Fundraising! Gainfield Elementary PTO welcomes you to join us as we run, walk and jog while raising funds for our school by hosting our very own Color Splash FUNDrun by Get Active Fundraising! Hanson Middle School welcomes all HMS Students to join us as we run, walk and jog while raising funds for our school by hosting our very own Color Splash FUNDrun by Get Active Fundraising! Calvin Christian School welcomes you to join us as we run, walk and jog while raising funds for our school by hosting our very own Color Splash FUNDrun by Get Active Fundraising! Liberty Middle School PTSA welcomes you to join us as we run, walk and jog while raising funds for our school by hosting our very own Color Splash FUNDrun by Get Active Fundraising! Berlin Athletic Booster Club, Inc. welcomes you to join us as we run, walk and jog while raising funds for our school by hosting our very own Color Splash FUNDrun by Get Active Fundraising! Tri Valley Elementary welcomes you to join us as we run, walk and jog while raising funds for our school by hosting our very own Color Splash FUNDrun by Get Active Fundraising! Our Lady of Sorrows School welcomes you to join us as we run, walk and jog while raising funds for our school by hosting our 2nd Annual Color Splash FUNDrun by Get Active Fundraising! 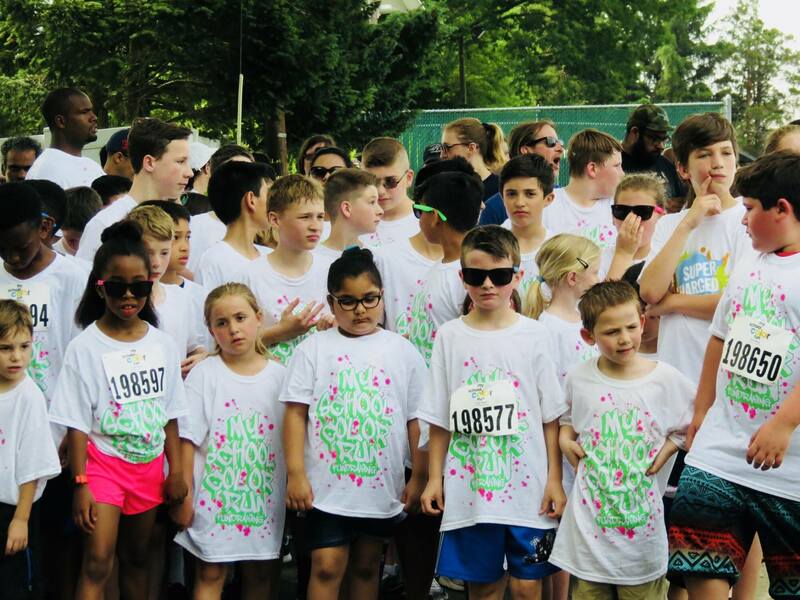 Michigan School for the Deaf welcomes you to join us as we run, walk and jog while raising funds for our school by hosting our very own Color Splash FUNDrun by Get Active Fundraising! Franklin Middle, Franklin Elementary and Franklin High School PTA's welcomes you to join us as we run, walk and jog while raising funds for our school by hosting our very own Color Splash FUNDrun by Get Active Fundraising! Nantucket Elementary School welcomes you to join us as we run, walk and jog while raising funds for our school by hosting our very own Color Splash FUNDrun by Get Active Fundraising! Burch PTA welcomes you to join us as we run, walk and jog while raising funds for our school by hosting our very own Color Splash FUNDrun by Get Active Fundraising! Salem Hyde Elementary School welcomes you to join us as we run, walk and jog while raising funds for our school by hosting our very own Color Splash FUNDrun by Get Active Fundraising! Mexico Elementary School welcomes you to join us as we run, walk and jog while raising funds for our school by hosting our very own Color Splash FUNDrun by Get Active Fundraising! Knowlton Township PTA welcomes you to join us as we run, walk and jog while raising funds for our school by hosting our very own Color Splash FUNDrun by Get Active Fundraising! Hale Area Schools welcomes you to join us as we run, walk and jog while raising funds for our school by hosting our very own Color Splash FUNDrun by Get Active Fundraising! Wallenpaupack Area School District & The ARC of Wayne County welcomes you to join us as we run, walk and jog while raising funds for our school by hosting our very own Color Splash FUNDrun by Get Active Fundraising! Harrison Central High School Band Boosters welcomes you to join us as we run, walk and jog while raising funds for our school by hosting our very own Color Splash FUNDrun by Get Active Fundraising! Abraham Wing School welcomes you to join us as we run, walk and jog while raising funds for our school's art & physical education department by hosting our very own Color Splash FUNDrun by Get Active Fundraising! Lindhurst Jr Blazers Football & Cheer welcomes you to join us as we run, walk and jog while raising funds for our school by hosting our very own Color Splash FUNDrun by Get Active Fundraising! Pleasant High School welcomes you to join us as we run, walk and jog while raising funds for our school by hosting our very own Color Splash FUNDrun by Get Active Fundraising! Apollo Elementary School welcomes you to join us as we run, walk and jog while raising funds for our school by hosting our very own Color Splash FUNDrun by Get Active Fundraising! Silver Lake Elementary PTA welcomes you to join us as we run, walk and jog while raising funds for our school by hosting our very own Color Splash FUNDrun by Get Active Fundraising! Eschool welcomes you to join us as we run, walk and jog while raising funds for our school by hosting our very own Color Splash FUNDrun by Get Active Fundraising! Spokane Valley Pop Warner Association welcomes you to join us as we run, walk and jog while raising funds for our association by hosting our very own Color Splash FUNDrun by Get Active Fundraising! This is a 5K fun color run for all! Jeannette Volonteer Fire Department welcomes you to join us as we run, walk and jog while raising funds for our department by hosting our very own Color Splash FUNDrun by Get Active Fundraising! Law Enforcement Officers Weekend Inc. welcomes you to join us as we run, walk and jog while raising funds for our organization by hosting our very own Color Splash FUNDrun by Get Active Fundraising! Leland and Gray Class of 2021 welcomes you to join us as we run, walk and jog while raising funds for our school by hosting our very own Color Splash FUNDrun by Get Active Fundraising! Vernon Instrumental Parents Group welcomes you to join us as we run, walk and jog while raising funds for our school by hosting our very own Color Splash FUNDrun by Get Active Fundraising! Old Bethpage Elementary School welcomes you to join us as we run, walk and jog while raising funds for our school by hosting our very own Color Splash FUNDrun by Get Active Fundraising! Cherryland Middle School SLAM Group welcomes you to join us as we run, walk and jog while raising funds for our school by hosting our very own Color Splash FUNDrun by Get Active Fundraising! Fostertown PTC welcomes you to join us as we run, walk and jog while raising funds for our school by hosting our very own Color Splash FUNDrun by Get Active Fundraising! SHS Peer Leadership welcomes you to join us as we run, walk and jog while raising funds for our school by hosting our very own Color Splash FUNDrun by Get Active Fundraising! Guilford Elementary PTA welcomes you to join us as we run, walk and jog while raising funds for our school by hosting our very own Color Splash FUNDrun by Get Active Fundraising! Ka`elepulu Elementary School welcomes you to join us as we run, walk and jog while raising funds for our school by hosting our very own Color Splash FUNDrun by Get Active Fundraising! Mayville Elementary School welcomes you to join us as we run, walk and jog while raising funds for our school by hosting our very own Color Splash FUNDrun by Get Active Fundraising! Laural Hill Elementary School welcomes you to join us as we run, walk and jog while raising funds for our school by hosting our very own Color Splash FUNDrun by Get Active Fundraising! Hunsberger Elementary PTA welcomes you to join us as we run, walk and jog while raising funds for our school by hosting our very own Color Splash FUNDrun by Get Active Fundraising!